A FOUNDER is a member who has been donating to and/or has been actively working with a nonprofit(s) prior to joining REBSEA. If this describes you check FOUNDER. If not, check Charter Member. To finalize your application please proceed to the next section to pay your annual dues and become a REBSEA Member. 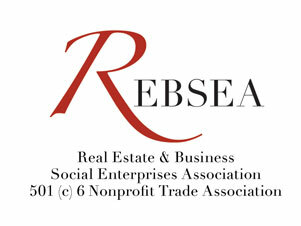 A Nonprofit Member is a 501 (c) 3 nonprofit organization in the U.S. or a Canadian Registered Charity that receives donations (or is interested in receiving donations) from REBSEA Members, is informing their supporters about the REBSEA program, and introducing local REBSEA members to their supporters. This is a free service. Thank you for demonstrating your support for the nonprofit organizations in your community and globally by deciding to become a Member of the REBSEA trade association.. The information we have provided to you, as well as on our website, has emphasized two important points: 1) All donations go directly from our members to a chosen nonprofit after a closing, and 2) The mission of REBSEA is to drive business to our members so that you can make donations to nonprofit organizations. The annual dues to join REBSEA and have your profile in our Member Directory is $100 which funds the infrastructure needed to build REBSEA into a strong organization and accomplish our mission. Please fill in as many fields as possible in the following pages and include your PICTURE. Your 'story' / profile can be as long as you like and can be completed now or you can return to make any changes by logging in with your email address and password. PLEASE list any nonprofits that you have donated to or wish to support in the space provided. The profile should describe your business, the area that you service, and your personal 'story', including any nonprofit that you actively work with or feel strongly about supporting (you may provide links).